Successfully Added Handheld Oscilloscope - 8 Bit Touch Screen, 2mV/Div To 20V/Div Sensitivity, 2MHz Bandwidth, 1 Channel to your Shopping Cart. With this portable handheld oscilloscope, you will be able to carry along one of the fundamental tools for electronic engineering anywhere you go. Perfect for electronics enthusiasts, hobbyists, and engineers – this cheap oscilloscope comes packed with all the basic features. Featuring a built-in battery, this handheld oscilloscope can be used virtually anywhere – bringing along great efficiency. 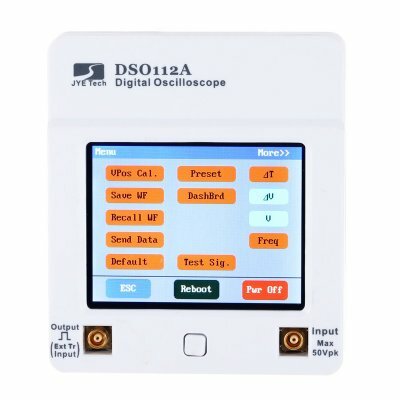 Whether you’ll be using it for testing computer circuits or for maintaining your electronic devices, this oscilloscope is sure to meet all your demands. For a cheap handheld oscilloscope, this electronic gadget certainly packs some high-end specifications. Its 0 – 2MHz bandwidth range and 2mV/Div to 20V/Div bring along great precision thanks to which it provides you with highly accurate and reliable readings. This high precision makes the oscilloscope particularly useful for measuring weak signals. Its maximum real-time sampling rate lays at 5M samples per second and this handheld oscilloscope is furthermore capable of handling a maximum input of 50Vpk. Coming with an 8-Bit touch screen, this handheld oscilloscope provides you with clear and detailed readings in color that are easy to analyze. Providing you with an abundance of on-screen measurements, all the required information for your analysis will lay right at your disposal. Whether you’re a student, electronic engineer, or a hobbyist that likes to play around with electronics – this handheld oscilloscope brings along an abundance of features for you to enjoy during your upcoming projects. 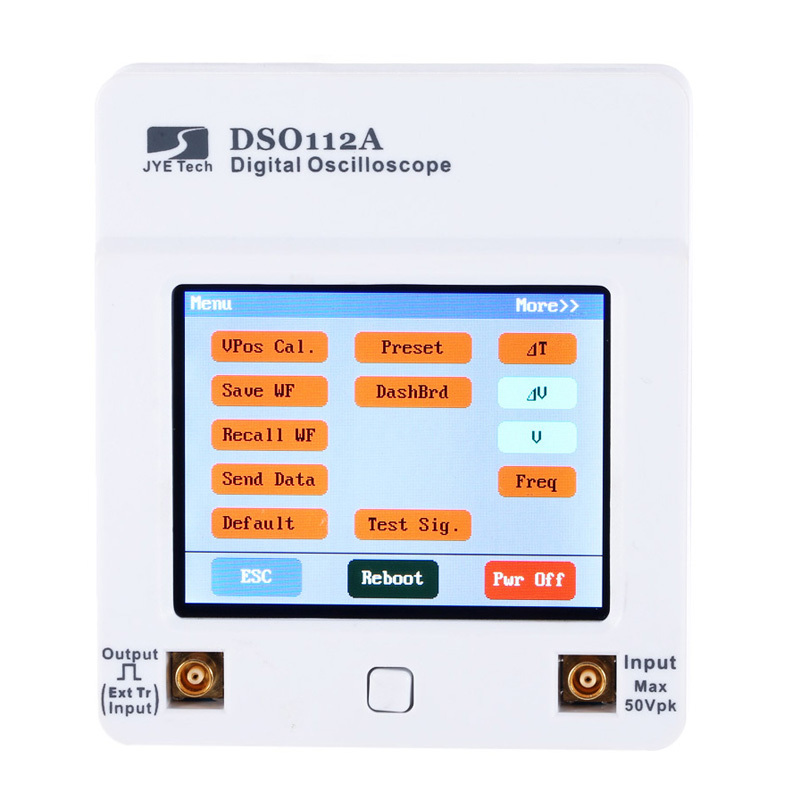 This handheld oscilloscope comes with a 12 months warranty, brought to you by the leader in electronic devices as well as wholesale electronic gadgets..